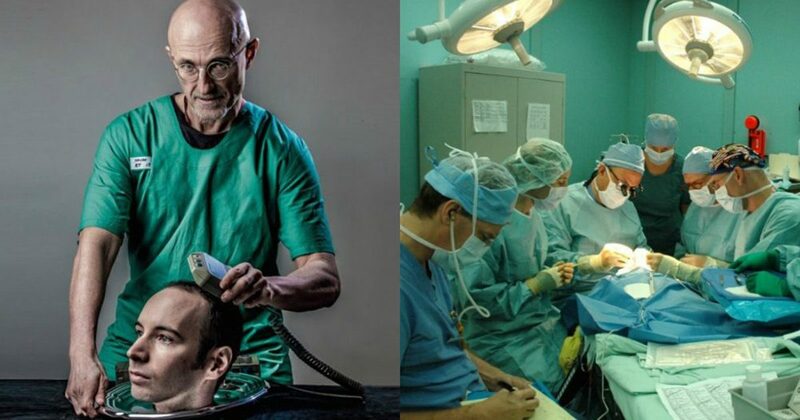 Italian neurosurgeon Sergio Canavero first sent media and medical professionals into a frenzy in early 2015 when he claimed that he’d perform the first successful human head transplant by 2017. With only one month left in 2017 Cancavero has re-emerged with news that the first successful head transplant has been completed….on a cadaver. According to Canavero, the cadaver head transplant was completed in an 18-hour operation at Harbin Medical University in China, during which a team of surgeons led by Dr. Xiaoping Ren successfully severed then reconnected the spinal cord, nerves, and blood vessels in the spine and neck. The University is expected to write a full report on the operation within the next few days. But, Canavero’s biggest news was yet to come. While Canavero would not divulge the identity of the Chinese donor or recipient, he stated that the donor would be the healthy body of a brain-dead patient matched for build with a recipient’s disease-free head. Though Canavero has spent the last couple years writing scientific studies on the feat, massive doubt surrounds the scientific legitimacy of his promises. Arthur Caplan, head of medical ethics at Langone Medical Center of New York University, said Canavero was “out of his mind”.